With the dust still settling from the stirring appeal of Pope Francis in Amoris Laetitia – The Joy of Love, excitement is once again building over what the next Synod of Bishops in Rome will recommend. About every three years the Pope calls a Synod in Rome and this time, for October 2018, it is on the topic of ‘Young People, the Faith and Vocational Discernment’. No narrow focus to this vocational theme, instead the vocation to love is everyone’s. 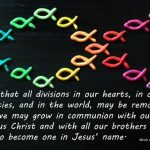 Whether in marriage, ordained ministry, consecrated life etc, all of us called to make vocational choices in our professions, forms of social and civil commitment, lifestyle, the management of time and money and more. Discerning ways forward in life; recognising, interpreting and choosing, pose real challenges in a world of seemingly countless possibilities. As hard as it may seem, risk is needed, for it is only in opening the possibility of mistake that we can embrace the chance to succeed and find our authentic path. So the Church wants to listen to the young as perhaps never before. ‘By listening to young people, the Church will once again hear the Lord speaking in today’s world’ (Preparatory Document). 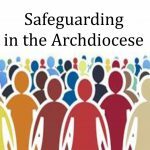 The Synod is to examine our Catholic pastoral response to see how we can walk with young people, recognise them as fellow agents rather than objects, to be prepared to go to and be in the places where they are. Exciting times ahead – and in coming months we’ll have more on how young people in our dioceses can participate. 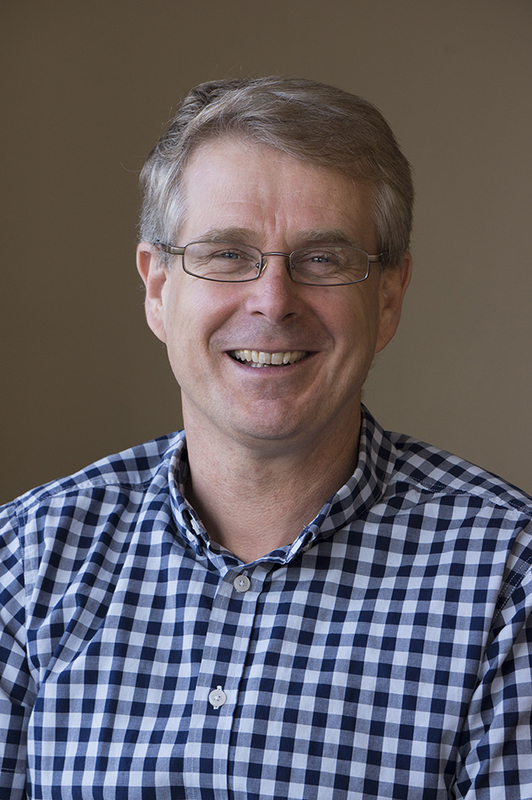 Chris Duthie-Jung is Leader Family and Young Church Vicariate for the Archdiocese of Wellington. Isabella McCafferty, front second from left, with Life Teen Summer Camp 2017 leaders. Pope Francis has convoked the XV Ordinary General Assembly of the Synod of Bishops for October 2018 with the topic: ‘Young People, the Faith and Vocational Discernment’. Cardinal John Dew announced on 16 February the New Zealand Catholic Bishops Conference has nominated two New Zealand delegates to attend a preparatory five-day meeting in Rome in April this year. ‘We are delighted one of them is Isabella McCafferty who works with the Archdiocese Family and Young Church Vicariate team. The other delegate is Teresa McNamara from Auckland,’ he said. Isabella and Teresa have been invited to travel to Rome in early April and then to present a summary of preparatory Synod discussion to the National Catholic Youth Ministry Conference in Christchurch, 21‒23 April; share Synod information with the New Zealand bishops and other Catholic groups; and encourage young people to participate. They will also gather feedback about the WYD Poland questionnaire for discussion in Rome and provide information about the WYD in Panama (2019) to colleagues and the NZCBC. Isabella said she is excited about the opportunity. ‘It’s a huge privilege and honour to be able to do this. And I’m really excited about what it will mean for the Church in New Zealand when we get home as we prepare for the next year’s Synod. 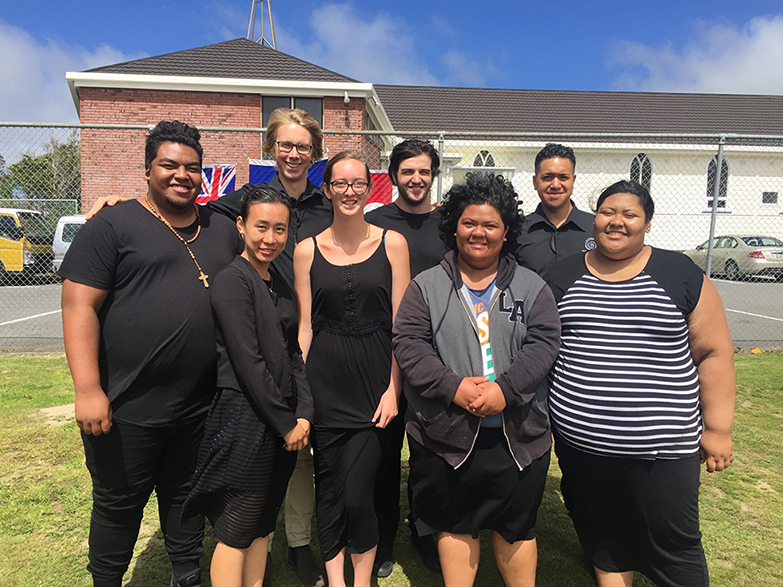 ‘I’m also looking forward to meeting other people involved in youth ministry from around the world and I’m very thankful to be chosen by the New Zealand bishops,’ she said. The National Catholic Youth Ministry Conference takes place every three years for youth and campus ministers, religious education leaders, clergy and religious, young adult ministers, volunteers and all who have an interest in ministry with young people. 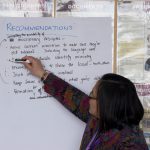 Hosted this year by the Diocese of Christchurch from 21‒23 April, it will include workshops linked to components outlined in Tu Kahikatea – A Framework for Catholic Ministry with Young People in Aotearoa New Zealand, and a keynote session delivered by Jimmy Mitchell from the US on ‘Alive and Well’. 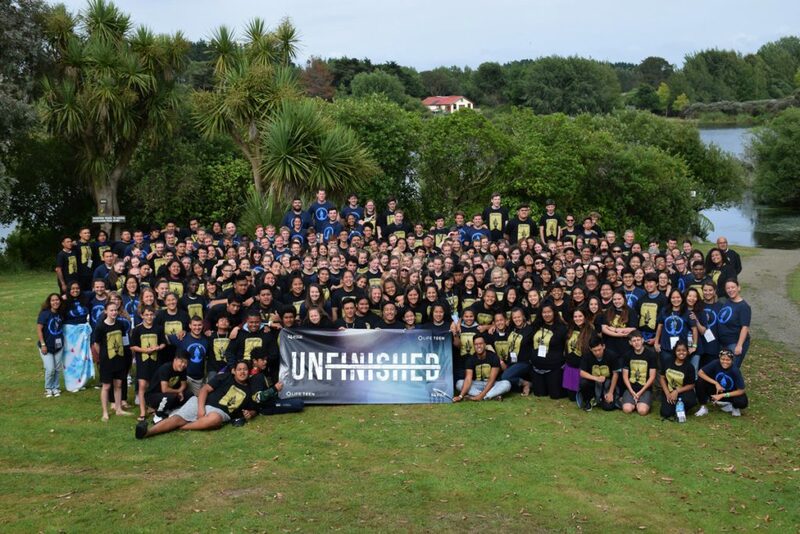 The conference enables participants to meet others involved in youth ministry and to look strategically at the vision for the young Church in New Zealand. Isabella McCafferty and Teresa McNamara will share their experience of the meeting in Rome in early April on preparation for the 2018 Synod on the Year of Youth. A strong group from the Wellington and the Palmerston North dioceses will be at the conference. Check out www.ncymc.cyt.org.nz if you have any questions. 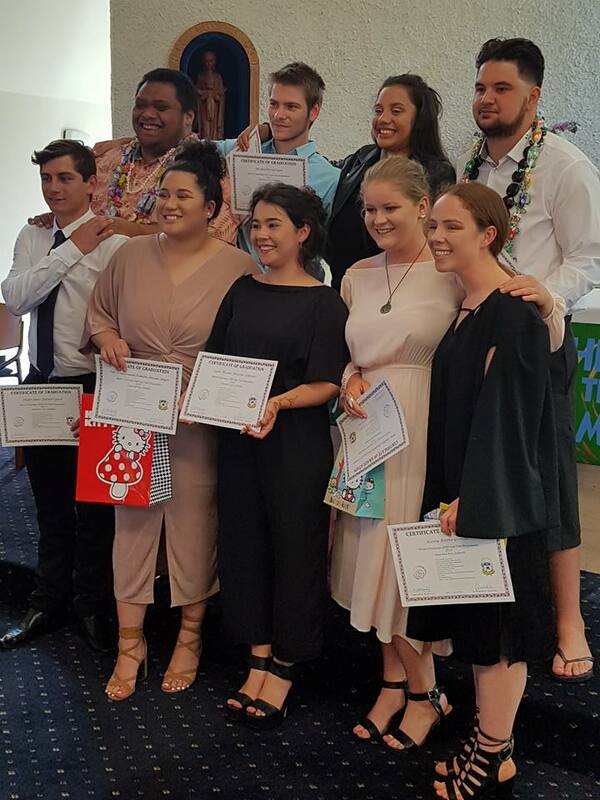 Nine students graduated last November with certificates in youth work from the Challenge 2000 and Society of Mary Gap Year programme. They were joined by more than 100 friends and whānau to celebrate with a liturgy and presentation in Wellington’s St Patrick’s College chapel. The students delivered inspiring speeches about their experiences, their special-interest placements and retreats throughout the year, and their inner journeys about God, themselves and the world around them. Challenge 2000 Director Steve O’Connor described Challenge’s goal to help and support young people, and how these graduates were ‘testimony to the significance and success of this work’. The graduates are now pursuing a range of youth work, university studies and army training. 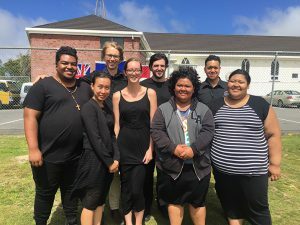 Gap Year 2017 is underway with eight young people committed to a year of personal and spiritual formation, and placements around New Zealand and further afield. 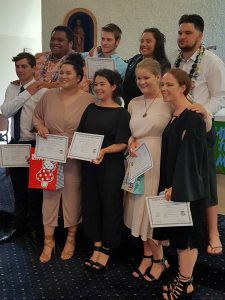 Pictured (back from left) are Lio Soane, Michael Start, Jesse Gerard, Jared Tofaeono; (front) Dylan Lynch, Piki Bowles, Sarah Atkinson, Nora Condra, Keeley Grevatt. 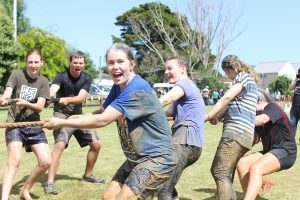 Life Teen Summer Camp Aotearoa 2017. Life Teen Summer Camp Aotearoa has grown quickly since it was established in this country in 2015. The 2017 Summer Camp, from 17‒21 January at Forest Lakes Otaki, reached sold-out capacity last October at 230 participants. Teenagers attended as parish groups with adult leaders. They came from Auckland, Taranaki, Whanganui, Palmerston North, Tararua, Hastings, Wellington and Christchurch. Life Teen, an international Catholic organisation, each year sets a theme for the week-long summer camps worldwide. This year’s theme, ‘Unfinished’, was about St Peter’s life and the way God is never finished working in our lives. Stephen Estes, Director of Missions for Life Teen International in the US, led daily sessions about ‘Unfinished’. Other daily activities included sports, art, obstacle courses, bonfires, team building and ‘messy games’. There were opportunities for prayer, group work, daily Mass, and Eucharistic Adoration. The Sacrament of Reconciliation was offered by 20 priests from Palmerston North and Wellington dioceses. Close to 60 adults served as Summer Missionaries working with parish groups, or on activities, hospitality, music, and prayer. 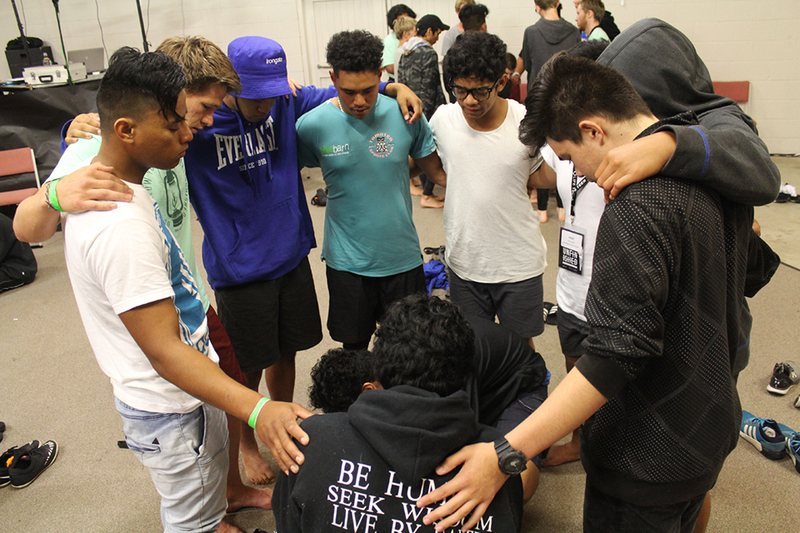 Vic Hernandez, Youth Minister for North Taranaki, said he was always inspired to keep growing in a deeper relationship with Christ when he witnessed teens coming together and diving deeper into their own faith. For the first time a group came from the Archdiocese of Sydney to work with us as staff and as part of the wider whānau. Along with four Americans our international staff members were 12 this summer. Life Teen Summer Camp is possible through the commitment and support of many – the Catholic Bishops Conference, Cardinal John Dew and Bishop Charles Drennan who joined us, many priests from across the country who attended or supported their young people to attend, adult leaders, parishes, sponsors, the leadership team, missionary staff, prayer, parents and participants. We look forward to seeing what Summer Camp in 2018 has in store! ‘My highlight was watching everybody come out of their comfort zones and dancing and worshipping together!’ – Anna Duthie-Jung, Lower Hutt. 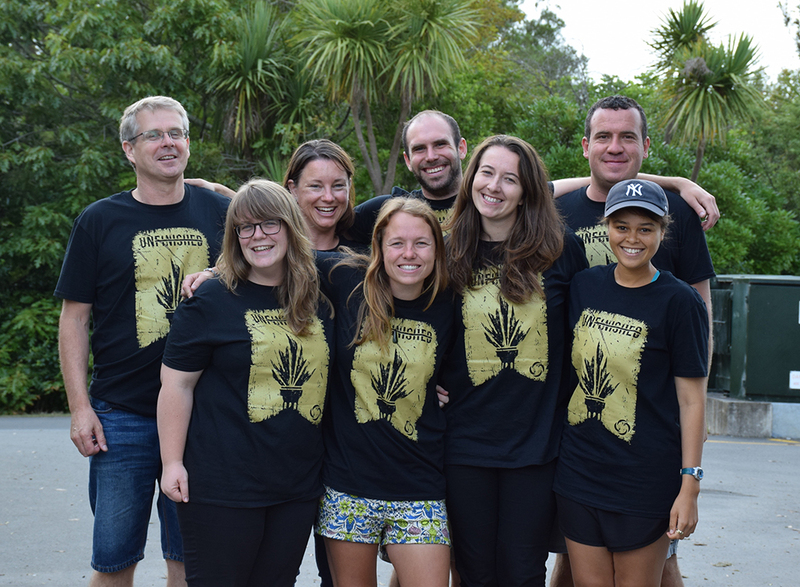 ‘The highlight was going deeper in my relationship with God in a fun environment, and making amazing friends.’ – Declan Reynolds, The Catholic Parish of Whanganui. ‘I loved Life Teen Summer Camp. It was my first time attending and I was blown away. I really enjoyed the prayer.’ – Johannes Duthie-Jung, Lower Hutt. 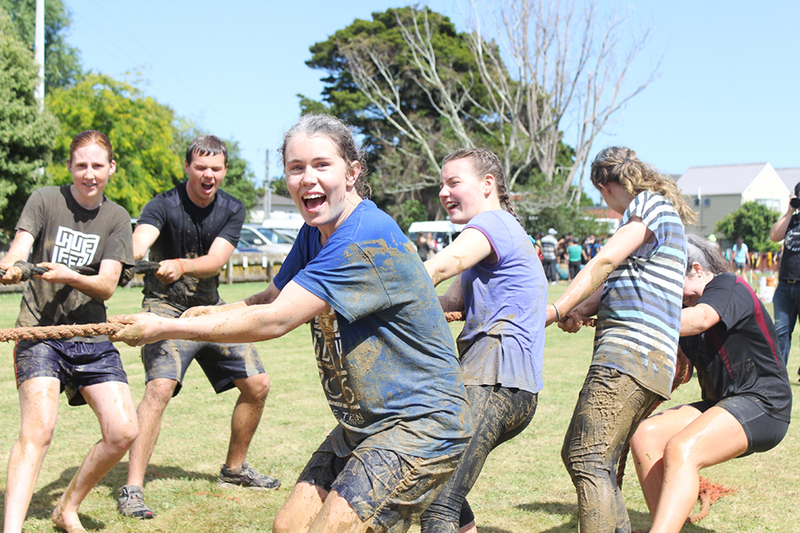 Participants from Dannevirke and Pahiatua join in ‘messy games’. Participants from the Catholic Parish of Hastings during ‘the washing of the feet’. 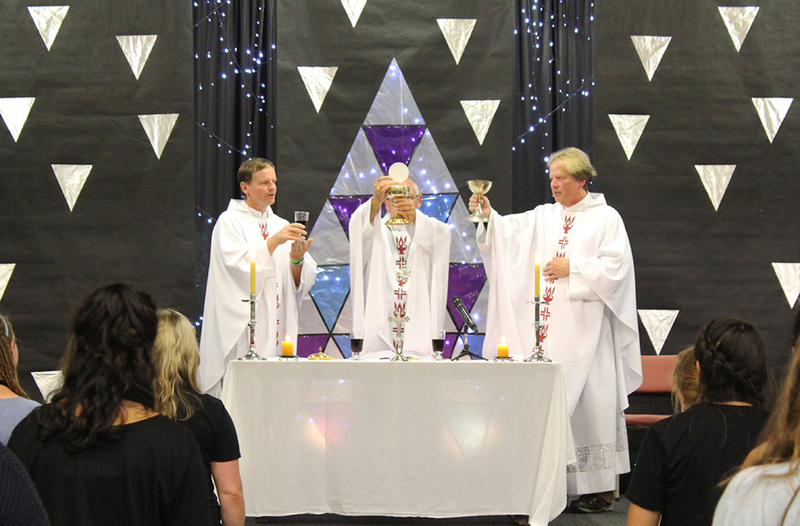 Cardinal John Dew celebrates Mass with Fr Greg Morgan (left) Archdiocese of Sydney, and Fr Bryan Buenger (right). 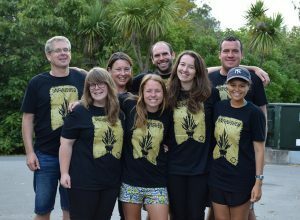 Summer Missionaries from Sydney Archdiocese with Stephen Estes from the US and Maria Boddington from Christchurch. Matagaluega Autalavou at their 2017 summer camp. The camp programme consisted of activities that engaged the youth to think through tasks set to overcome obstacles and work as teams to achieve the end goal. For some it was a challenge personally to put one’s trust in a peer who they may not know well, but which helped in rebuilding relationships, trust and faith in one another. 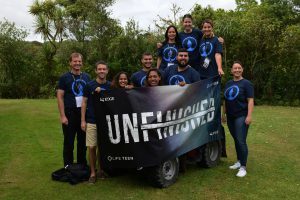 At the end of each activity progress included: new friendships formed; trust built in the vision of what they were doing; trust in one another; and new leaders developed. 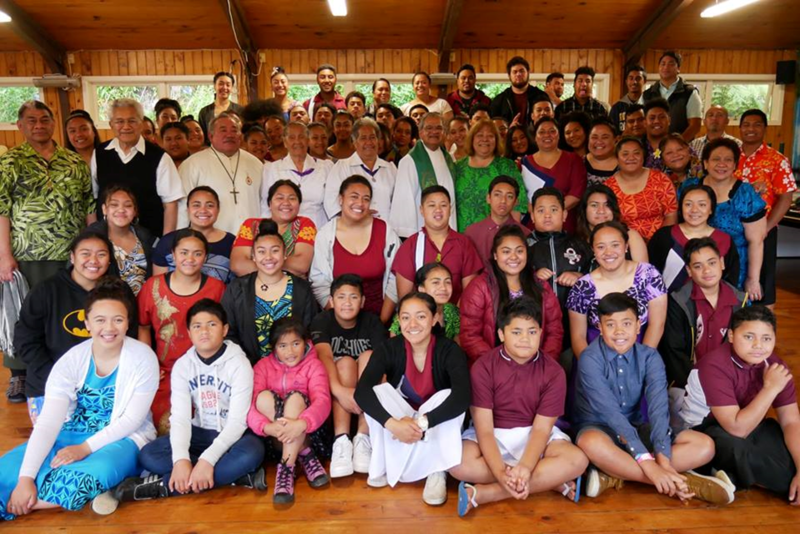 With a great start to the year, our youth now look forward to continuing to rebuild on their faith, vision, understanding of who they are as Samoans and as Catholics, continually moving forward and the progress ahead. Fr Bryan Buenger, currently assigned to the Tararua parishes in the Diocese of Palmerston North, grew up in the ‘The Valley of the Sun’ – Phoenix, Arizona. A former secondary school teacher, while studying theology through the Kino Institute he was actively involved in the parish life of St Anne’s Parish in Gilbert, Arizona, through youth ministry, RCIA, and many other ministries. The Life Teen programme was part of the parish’s youth activities, and Fr Bryan along with the youth leaders attended many Life Teen activities, with up to 3000 young people from around Arizona attending summer Life Teen Conferences. ‘I’ve witnessed incredible spiritual and sacramental growth in the youth of the parish,’ he says. 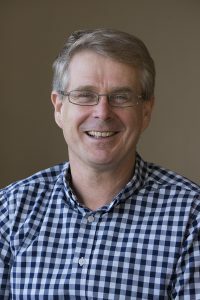 ‘It is inspirational to see what happens when young people encounter Christ in an authentic way.’ On holiday in 2005, he felt a calling to come to Aotearoa New Zealand and, combined with the calling to the priesthood, completed his studies at Good Shepherd College in Auckland and was ordained to the priesthood on 4 July 2015. Here he talks about the Life Teen mission. Life Teen is a Eucharist-centred movement within the Catholic Church that leads not only teens but their families as well into a deeper relationship with Jesus Christ and His Church. Begun at St Timothy’s Parish in Mesa, Arizona, US, in 1985, the focus was on the Holy Mass and gathering teens for Life Night. It has steadily grown by maintaining a sacramental focus and adherence to the teachings of the Church. Currently, there are over 1800 parishes in 31 countries offering the youth of the world the opportunity to know and love our Lord and Saviour Jesus Christ through the Sacraments. Life Teen isn’t just about the teens in their present stage of life. It is about equipping them to live fully, faithfully, and authentically Christian lives in the world. It has an admirable record in leading teens to vocations – marriage as well as the priesthood/religious life. From a joint survey by the United States Conference of Catholic Bishops and Life Teen in 2015, and combined with parish activities to support vocations, such as teen altar serving and music ministry, 49 per cent of all current seminarians in the US were involved in some type of Life Teen activity and 28 per cent of all current seminarians in the US said their involvement helped support their discernment to enter the seminary. Similar statistics can be found for the number of marriages resulting from involvement in Life Teen activities. After all, ‘God is love’ – 1 John 4:16. Life Teen Rule of Life is an amazing document that would be beneficial to everyone at all ages. It is a blue print on how we can lead our lives in this world in preparation for the next. You can access it at lifeteen.com and click on ‘Missions’.